Chinese New Year’s Day is January 28 this year, ushering in a new Year of the Rooster. Perhaps the most important traditional Chinese celebration, Chinese New Year festivities are celebrated for days and often feature family reunions, provide peaceful rest prior to the new farming year, and recognize the start of spring. The celebration is also a time to wish for luck and prosperity for the upcoming year. The New Year festival is centuries old and is celebrated by Chinese communities across the globe (some estimate 1 in 6 people worldwide celebrate Chinese New Year). 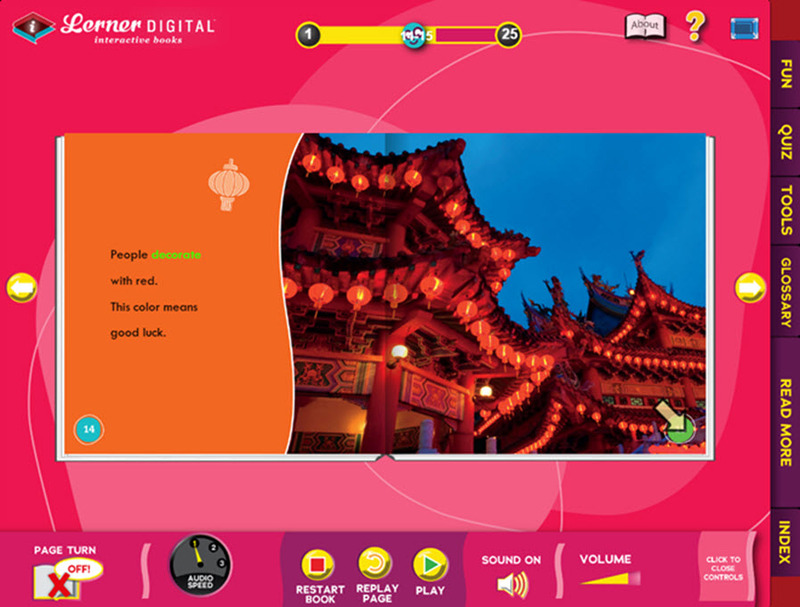 For younger readers curious about this holiday and its many colorful traditions, Lerner Digital offers It’s Chinese New Year! by Richard Sebra. Part of Lerner’s exciting Bumba Books™, non-fiction for grades PreK-1, It’s Chinese New Year!has all the features you’d expect from a Bumba title: beautiful photography; bright colors; questions to promote critical thinking; and engaging, informative text. And it’s available in both standard eBook and as an Interactive Book, featuring enhanced multi-media tools and features such as audio narration at multiple speeds, fun activities, and a quiz. It’s Chinese New Year is just one of twelve books available in the Bumba Books™ – It’s a Holiday! Series, which includes titles across a wide range of traditions, giving students an opportunity to learn more about holidays like Cinco de Mayo, Diwali, Hanukkah, Ramadan and Eid al_Fitr, St. Patrick’s Day, Christmas, and more! It’s truly a series that can provide fun, relevant titles throughout the year.